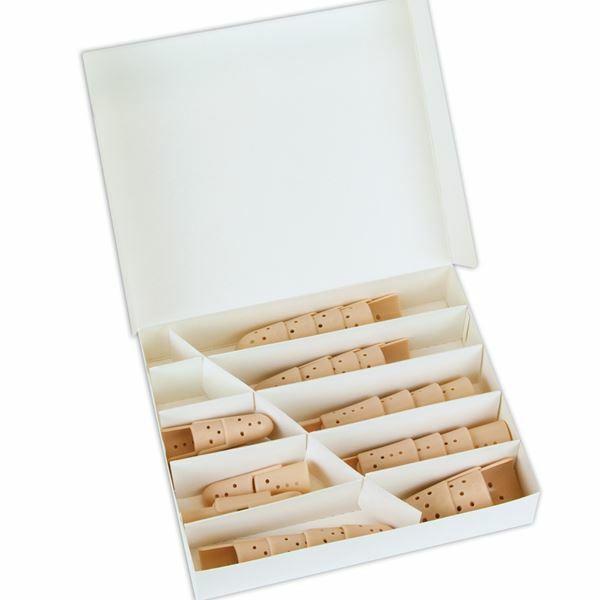 Assortment of 30 Stax splints in a plain cardboard box. Designed to refill the Stax Finger Starter Kit. Stax-mallet is normally used without padding and is taped to middle phalanx, elevating distal joint to properly extended position. Use in clinics, hospital emergency departments, industrial clinics and athletic training rooms for quick response to finger injuries. Available in Skin tone or Clear plastic. Note: All Stax Finger Splints are not supplied with finger tape or straps.